The fourth annual Cleveland Asian Festival will be held on Saturday and Sunday May 18 & 19, 2013 in Cleveland's AsiaTown neighborhood at the Asia Plaza shopping center and surrounding streets (Payne Avenue and East 30th Street). Cleveland Asian Festival is a collaborative effort by many organizations and communities in Greater Cleveland. It is coordinated by volunteer leaders within the Asian Pacific communities to foster, educate, and promote Asian culture and traditions, while celebrating Asian Heritage Month. The event is free to the public and will run from 11am till 7pm on both days with ethnic performances on two stages throughout the day. This unique event provides an opportunity to learn and experience diverse Asian cultures, heritage and traditions through visual performance arts, cultural displays and demonstrations, educational materials, and interactive workshops. of the Cleveland Asian Festival. Honorable Dnyaneshwar M. Mulay, Consul General of India spoke at Ariel International Center in Cleveland about Opportunities for US Companies interested in Investing or Doing Business with India. Consul Mulay began his remarks by telling about a question he received about how to describe India in one sentence. He told about the diversity and democracy of India and the numerous religions in India. Even the diversity within the Hindu faith. In the ancient Indian language of Sanskrit, Sewa means Service - a unique concept of Service - Selfless Efforts for Welfare of All. Sewa International USA is a Hindu faith-based humanitarian non-profit service organization. Their vision is to increase civic engagement of the communities in the United States to volunteer and promote volunteering. On November 15, 2014 a sold-out crowd attended an event in Cleveland to learn more about Sewa International, recognize super volunteers and to support the cause - specifically the Family Services project. Sudarshan Sathe explains Diwali at Cleveland City Hall at a Diwali celebration hosted by the Federation of India Community Associations (FICA) at Cleveland City Hall. 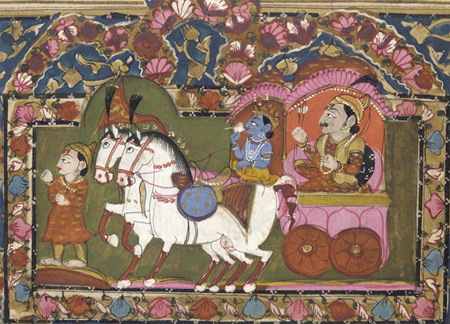 The Bhagavad Gita, a conversation between Lord Krishna and Arjuna before the start of the Kurukshetra war, is one of the foremost Hindu scriptures and is described as a concise guide to Hindu philosophy and beliefs. According to Wikipedia, A Hindu is an adherent of Hinduism, a set of religious, philosophical and cultural systems that originated in the Indian subcontinent. The vast body of Hindu scriptures, divided into Sruti ("revealed") and Smriti ("remembered"), lay the foundation of Hindu beliefs, which primarily include dh�rma, k�rma, ahimsa and samsara. Hinduism is regarded as the oldest of the world's major religions and Hindu mythology and philosophy have had a profound impact in many parts of the world, especially southern and South East Asia. 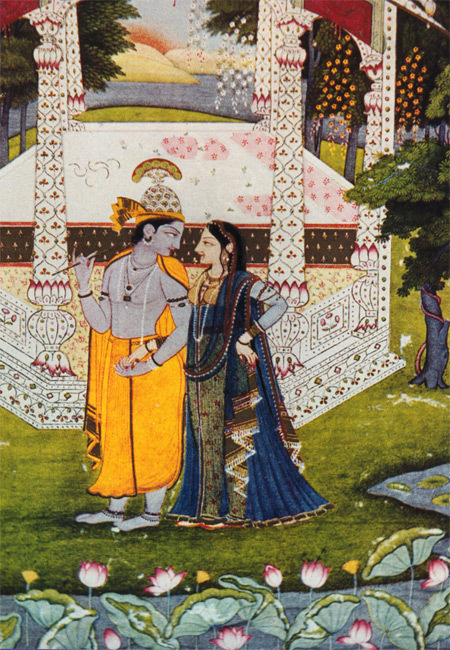 With more than a billion adherents, Hinduism is the world's third largest religion. The vast majority of Hindus, approximately 1 billion, live in India. Other countries with large Hindu populations can be found in various parts of the world. One example is Nepal. Submit your Cleveland Hindu news and events. Submit your Cleveland Hindu photos and event recaps. Submit your Cleveland Hindu organizations and resources. Submit your Cleveland Hindu jobs, classes and other opportunities. Submit your Cleveland Hindu feedback and memories. Submit your Cleveland Hindu cultural items. If you are interested in being considered to be an official ClevelandPeople.com Ambassador to the Cleveland Hindu community, please contact us. 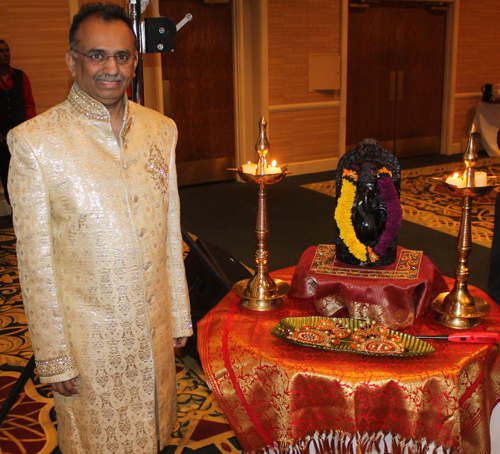 If you want to reach the Hindu community in Cleveland and Northeast Ohio, please contact us.